Crank pulleys, cylinder head bolts, timing kits, engine valves, etc. 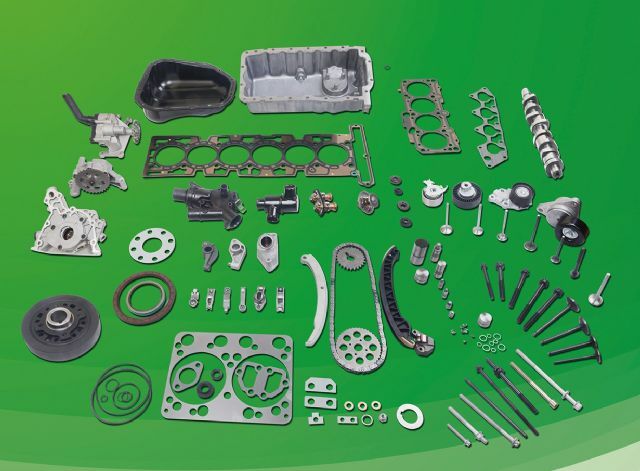 Aug 24, 2015 | By CENS | FBG INDUSTRY CO., LTD.
FBG Industry Co., Ltd. is an experienced manufacturer and supplier of automotive engine parts and performance parts with more than 10 years of experience in the field. The company offers a comprehensive range of products comprising more than 15,000 items, with continual development of new ranges of projects each year to further broaden its product comprehensiveness and competitiveness. The supplier's major product categories include: crank pulleys, cylinder head bolts, timing kits, etc., which covers most American, European, Japanese and Korea passenger car makes and models. Currently, the firm's product portfolio contains over 450 cylinder head bolts, about 250 timing kits, 220 crank pulley models, more than 600 valve models, and manifold products. To assure the highest product quality, FBG stresses that it fully inspects every item with well-trained technicians before every shipment. The supplier also notes that it has very strong capability in product development and manufacturing that are achieved by close partnerships with qualified sub-contractors and joint-venture partners. Besides offering quality products and prompt service, FBG capably handles OEM and customized projects, and welcomes cooperation projects for truck parts. Samples of FBG's crank pulleys, cylinder head bolts, timing kits, engine valves, etc.